The New River is widely believed to be 250 million to 360 million years old by geologists. Many believe that it is the oldest in North America because it flows against the topography in a south to north course through the Appalachian Mountains. Many pose that it preceded the formation of the mountains themselves. Canoeists may leave their vehicles and launched from several bridges and roadways that cross the river. Canoes, rafts and tubes can be rented from a number of local providers, who will also provide road transportation from put-in to pick-up. Fishing enthusiasts will find a variety of freshwater game fish including bass, trout, walleye, muskellunge, crappie, bluegill, carp, and flathead and channel catfish. Picnickers and hikers will find plenty of opportunities to enjoy a meal and some healthy outdoor exercise along the many trails within the New River State Park. 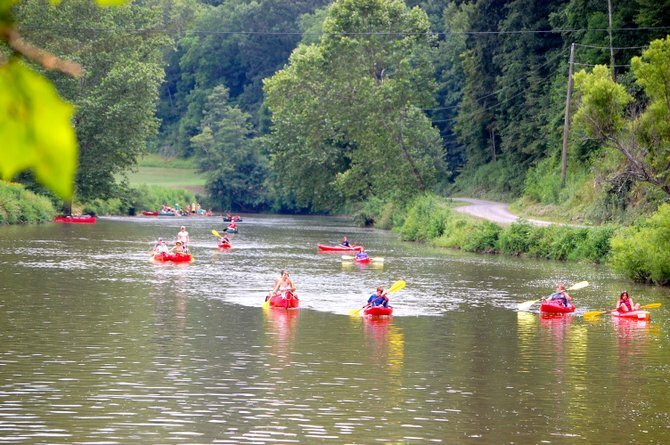 No visit to the Ashe County and Western North Carolina High Country would be complete without enjoying the amazing natural beauty and scenic wonder of the New River! A1 Mountain Realty is located in West Jefferson NC.&nbsp; When you buy Ashe County Real Estate or stay in a NC Mountains you can enjoy Canoeing The New River, Fly Fishing NC, Trout Fishing NC, Horseback Riding Western NC, hiking the Appalachian Trail NC, or the Blue Ridge Parkway in North Carolina and so much more. The New River State Park, Elk Knob State Park, Mt Jefferson State Park and Rocky Knob Mountain Bike Park are all in our backyard. A1 Mountain Realty can help you with all your Ashe County NC Real Estate needs. They will help with all aspects of buying or selling NC Mountain Real Estate! ← Hiking in the High Country!